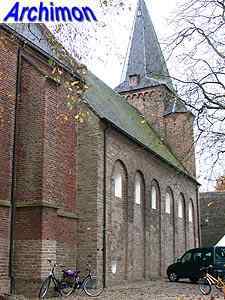 The nave was probably built in the early 12th century. 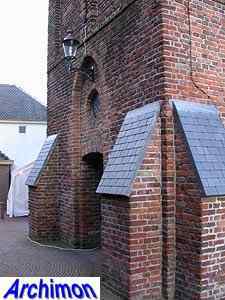 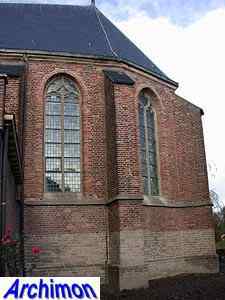 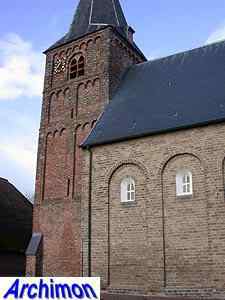 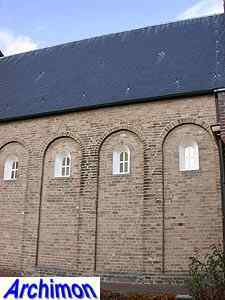 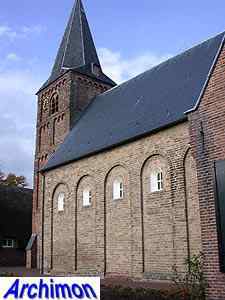 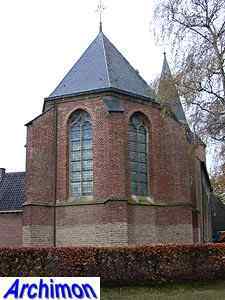 It is in a Romanesque style that is more common in the Lower Rhine region but rather rare in this area, with in the walls tall, undeeply recessed niches around the windows. 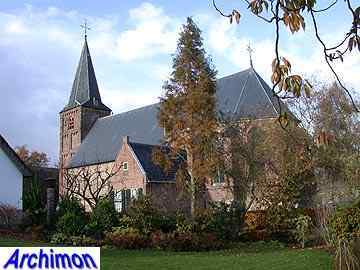 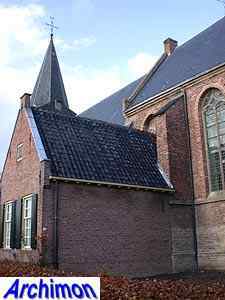 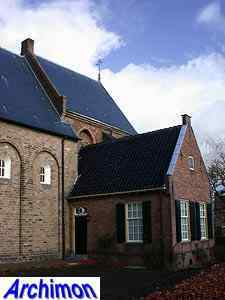 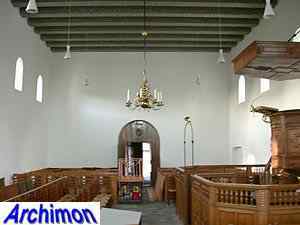 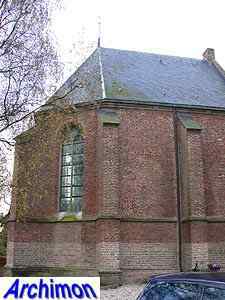 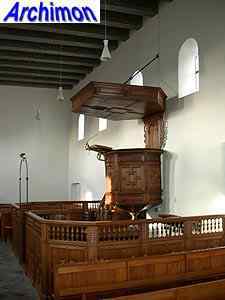 The church in Wadenoyen is in a similar style. 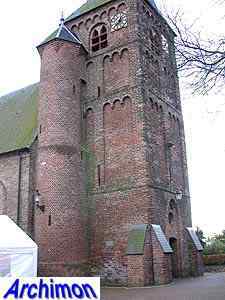 The tower is Romanesque as well, but is almost two centuries younger. 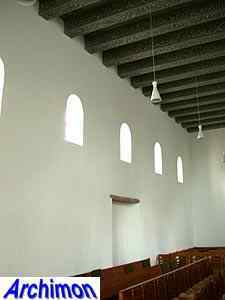 The sound holes in the upper segment are Gothic. 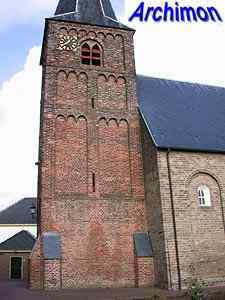 The stair-turret was added in the 15th century. 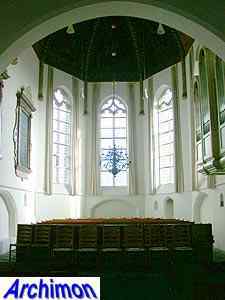 In that same period the original choir was replaced by the current Gothic one, using stone of the old one. 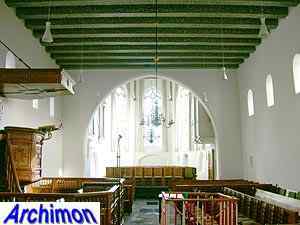 In 1956 the church was restored, correcting many changes that had been made, including the reconstruction of the arch between nave and choir and the flat wooden roof of the nave. 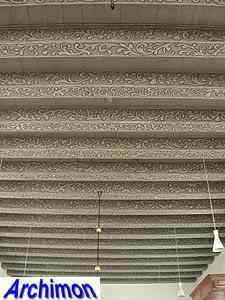 Of especially great importance was the return of the painted wooden vaulting of the choir from the Rijksmuseum in Amsterdam, where it had been taken to in the early 20th century.